Many of you know us. We’re a rough confederation of bloggers, influencers, analysts, software executives, independent consultants, engineers, marketers, chief cook and bottle washers and the like who are passionate about the Enterprise Software space. Its not the only thing we blog on but it takes up most of our time. Internally, we’ve been discussing what we can do as a group to engage directly with our readers and reach an audience that may not read us regularly. We converged around the notion of a conference. We discussed the merits of holding our own conference vs. joining an existing event and we felt it would be best if we began these types of efforts by partnering with someone we know and admire. We are big fans of Eric Norlin and Defrag so have decided to partner with him for our first ever EI conference track. What will we be speaking on? Well, Jeff Nolan suggested a number of items to the group, and the theme that seems to be taking up so much of people’s energy these days are Platform Shifts… from on premise to on demand, to the cloud, social platform shifts, do platform shifts even matter at the end of the day, and what about innovation? Do platform shifts help or hinder innovation? Also, two of our own are keynoting: Vinnie Merchandani, author of The New Polymath and Maggie Fox, CEO of The Social Media Group. To that end we will be discussing all of this and more at Defrag, November 17th and 18th. 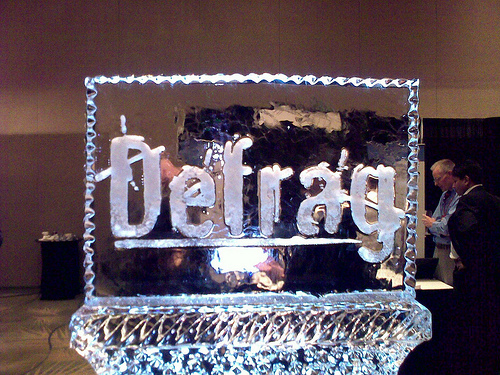 Defrag is held just outside of Boulder, which is beautiful in November! So come register and join us! Come talk with us about Platform Shifts and much more.